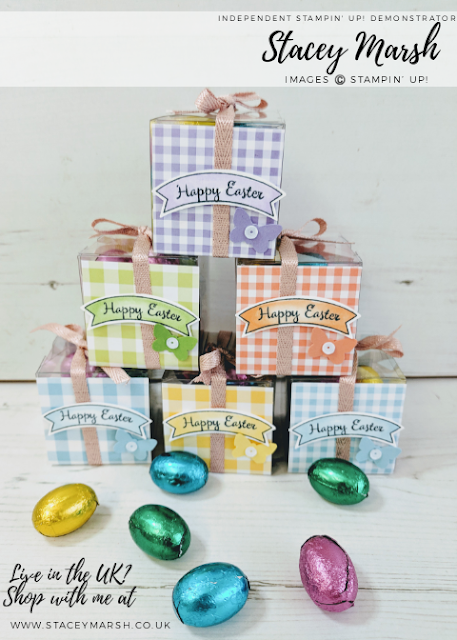 We are nearly at the end of this set of cards and it's been lovely reading your comments on social media, I think you have liked the cards so far! This one is a bit different for me, as it's all about the technique, rather than plain old matting and layering with punches and embellishments to add the detail. 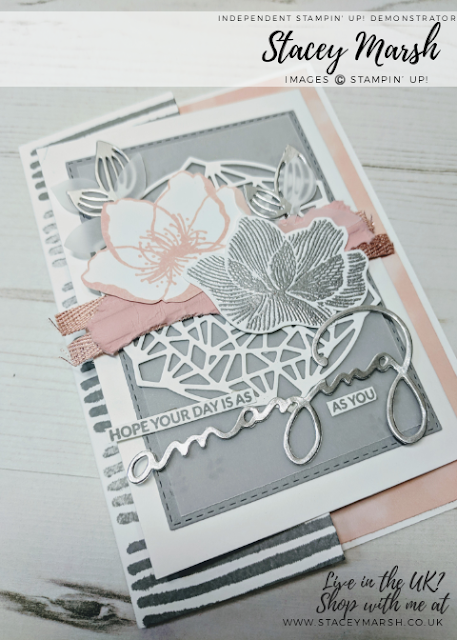 This one is totally flat apart from the sequins but don't let that fool you into thinking it was a quick card to make! 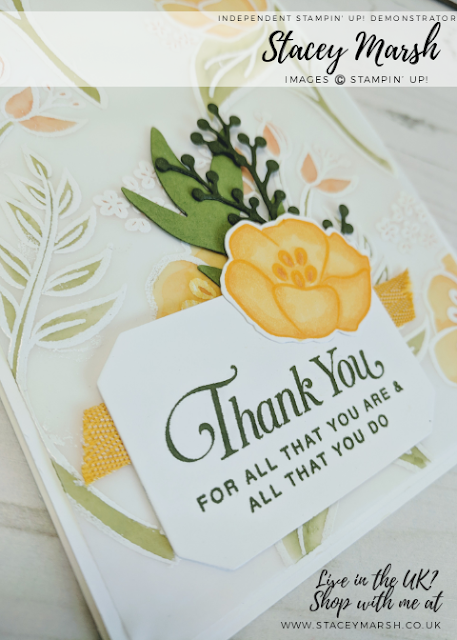 This card is made from Crumb Cake Cardstock cut and folded to make a 5" square card. 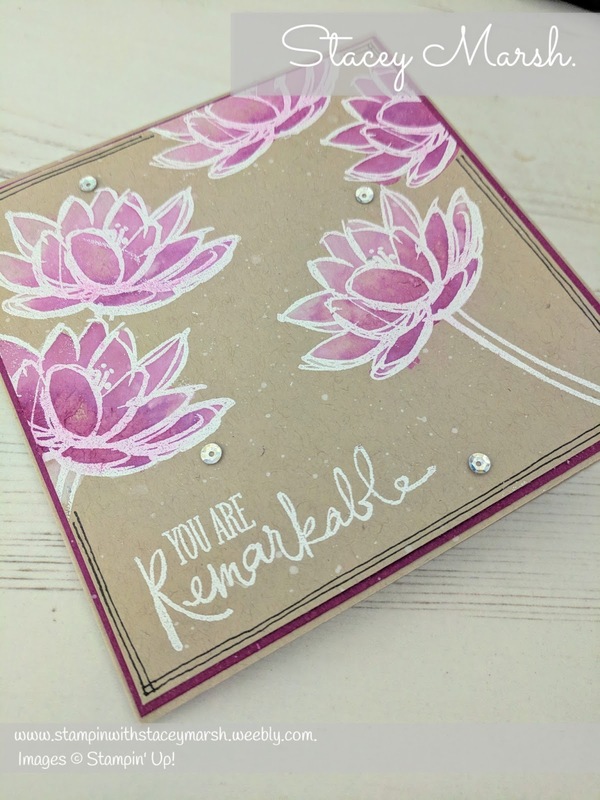 I have added a layer or Berry Burst Cardstock and the top layer that has been stamped onto is another piece of Crumb Cake Cardstock. Crumb Cake card base - 5" x 10", scored and folded at 5"
Crumb Cake top layer - 4,3/4" x 4,3/4" square. Do not stick the top layer of Crumb Cake cardstock down until the very end. 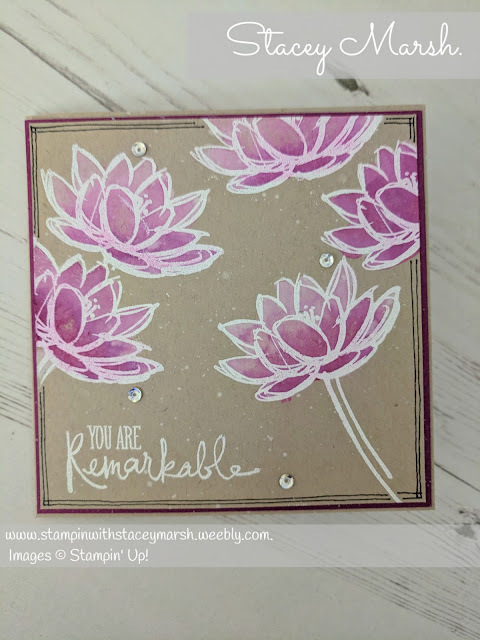 Using a Versamark Stamp Pad, stamp the flower image at random around the edge, add White Stampin' Emboss Powder and heat with a Heat Tool. 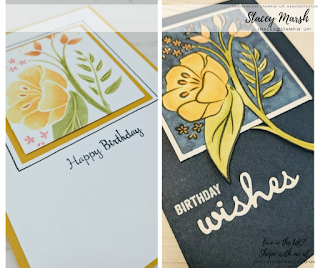 Take a Whisper White Uninked Craft Stampin' Pad and an Aqua Painter and colour in every flower. Leave to dry or use a Heat Tool if you're impatient. By colouring in with white before moving on to the next bit, you get a more vibrant colour on the cardstock. If you have stamped onto White card then you won't need to do this first part. 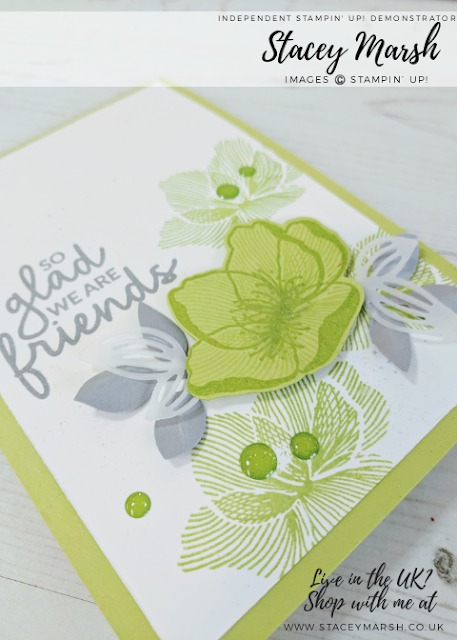 Next, with a Berry Burst Classic Stampin Pad and using an Aqua Painter, add colour to the flowers, using a more concentrated colour at the bottoms. Leave to dry or heat with a Heat Tool as before. Taking a Whisper White Uninked Craft Stampin' Pad stamp with a sentiment of your choice. I have used the main sentiment from the Remarkable You Stamp Set. 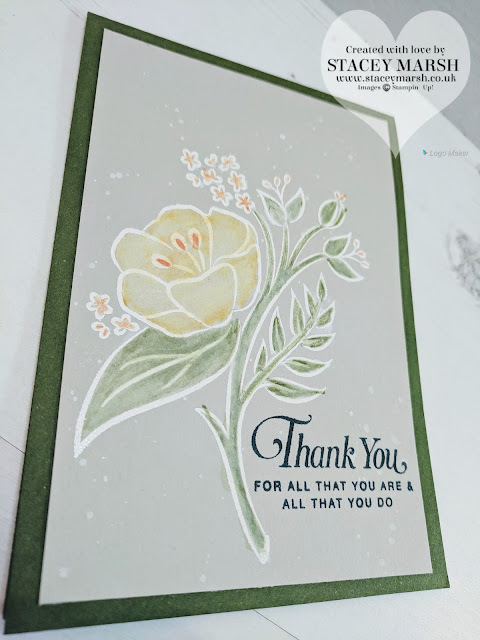 If you look closely, I have added splashes of White across the flowers, which has been done with an Aqua Painter, and a Whisper White Uninked Craft Stampin' Pad. The black lines around the edge have been drawn with a Journaling pen to finish. I think this card would look good in a variety of different colour combinations and for any occasion. Hope you're enjoying a relaxing Saturday!